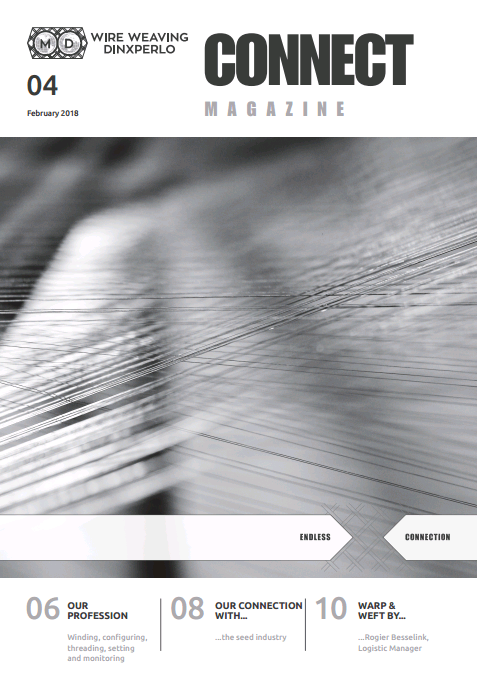 News - Metaalgaasweverij Dinxperlo Wire Weaving CO. LTD.
Connect Magazine 4, ready for you to be read! In this edition we would like to introduce you to some new faces in our team, we will introduce ‘mesh welding’, we tell you about our special corporation with Hoopman Equipment & Engineering and we will give you some insights about our logistic department! Read our newest Connect Magazine here! 16th of september; Open house day!